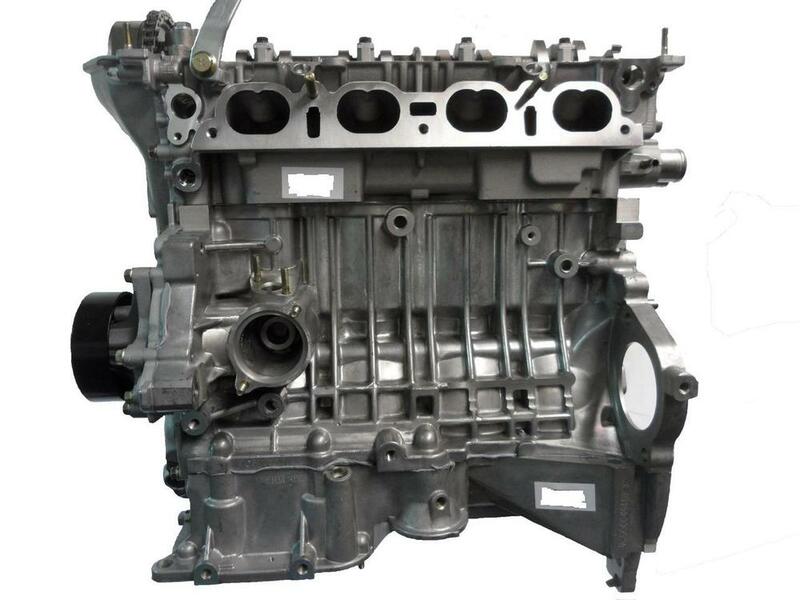 Looking For A New or Used Toyota Engine? Looking for Toyota engines for sale? We’ll help you find a used Toyota engine swiftly! Whenever you give us a call or complete our form, your engine inquiry will get forwarded automatically onto a great community of Toyota scrap yards, rebuilders, automobile salvage yards and Toyota engine importers. Just pick the specific automobile brand key in the vehicle information and complete the form. As a substitute give us a call! Next simply chill out and wait the suitable offers to reach you by way of email or phone. Take note we really do not guarantee any of the suppliers’ engines, action or services. I am looking for the complete engine for Toyota Hilux 1KD . looking for a complete new or second hand or a imported engine on a Toyota Prado, in the Graaff-Reinet, Queenstown or Port Elizabeth area. looking for a new or second hand engine on a Toyota Hino 1.6, 2015 or 2018 year model in the Durban area. looking for a fuel injector, on a Toyota Camry 2.4, 2005 year model. he has 2 engines for sale, please contact if interested, 2 Perkins Marine 6354, and 2 boxes full of spares, he is moving and would like to get rid of the engines. looking for a complete new or secondhand engine on a Toyota 3 liter diesel engine in the Cape Town area please. looking for a complete 2nd hand 1KR Toyota engine in the Nelspruit area. looking for a Toyota Quantam 2.7 petrol 2006 year model, sub-assembly in the Britz area. 0658721982, looking for a complete engine second-hand or new on a Toyota Corolla, 2000 year model in the Johannesburg area. Desiree, 0844054111, red top Tvis 1600 engine, toyota, 1988 to 91 year model, Cape Town, looking for a complete engine. looking for a complete engine for a Toyota, 2TR petrol, 2007 year model in the Windhoek area. requesting second-hand a sub-assembly, on a Toyota 1.4 Runx, 2009 year model. I am looking for a complete 2L-TE engine to ship to Malawi. I need an engine block for a Toytota Quantum 2.7, I am situated in Rustenburg, please call back with price and availability. Toyota 2 liter, 2C complete engine please. I need a cylinder head for 11B engine Toyota dyna. 082 81 50 425, looking for a complete engine. Rav 4 engine computer box, and amplifier part number: 8978352041. Toyota Conquest 1.3 1999 with 2E engine (engine has no compression). Varsity student needing engine urgently. Price and availability for a 1kd-ftv engine please. I'm looking for a Toyota tazz 1.3 (2E) engine block. How much will it cost me? looking for a new/ used air-conditioner and engine mounting. I am looking for the engine for Toyota VVT-I 2018 model, new or used. I would like to be assisted with a new block for Toyota Avanza. I am looking to buy an engine for Toyota Verso 1.6 2007 model. I am looking for a complete engine for a Chev Cruz, 1.6, F16D4. I need and engine for a 2008 Toyota Avanza, I am in Kuruman, please call back with price and availability. I need an engine for a 2007 Toyota Corolla, 1.4, I am on the East Rand, please call back with price and availability. My name is Martie Kruger, I would like to speak to Johan Coetzee regarding the Toyota Avensis as discussed with her uncle, requests a return call. I need an engine for a 2008 Toyota Avanza, I am situated in Montana, please call back with price and availability. I need an engine for a 2006 Toyota Fortuner, 3 liter Diesel, I am situated in Eendekuil/Veldrif, please call back with price and availability. I am looking for a complete engine for a Toyota Avensis, 2lit, 2008 model. I am looking for a complete engine for a Toyota RuxX, 1.4, 2004 model. I need an engine for a 2007 Toyota Taz 1300, I am in Witbank, please call back with price and availability. running 2007 Toyota Prado 4.0 V6 vvti engine or reconditioned please ? I WANT A SECOND HAND ENGINE FOR MY CAR HOW MUCH IS? AND WHERE ? I am looking for a complete engine for a Toyota Rav 4, 2.5lit, 2014 model, 2ARE857722. One of the best things about Engine Finder is that there is no middle man involved in the process. You don’t have to pay a third party any type of additional fee. You give the money for the engine sale directly to the supplier. You don’t have to deal with anyone else or listen to anyone else tell you what to do. You make the comparison and choose the right candidate for what you need. All you have to do is receive the information that Engine Finder gives you and then choose the deal that’s best for you. The engine buying process should always be easy and not burdensome. Engine Finder makes it possible for you to experience those aspects of it. There is no shortage in the number of engine importers South Africa has. You can get connected to one or many of them, and you can have your used engine delivered rather quickly. You can first compare multiple providers. You won’t be forced to choose between a slim selection. You’ll literally have access to networks, multitudes of suppliers, scrap yards and engine importers South Africa uses to earn profits. Instant gratification seems to be one of the most important factors among shoppers and sellers. Everyone wants what they want now. Using Engine Finder will help you if you are one of those types of people. You deserve to have whatever you want when you want it. Therefore, the service is always going to be prompt.